Our diverse client base crosses complementary sectors, including government and commerce, which enables cutting edge technology to be utilized in the modern transport arena. The travel and transportation sector is challenged by globalization, consolidation and the need for faster, more visible and more flexible supply chains. Globalization continues to be a key driver in the transport sector. National and geographical barriers are being rapidly broken down. As supply chains get longer and as fuel costs, capacity and security concerns complicate transportation, the cost of goods produced is on the rise. Transportation service providers should have an agile enterprise to respond to these challenges. An agile enterprise can respond more effectively to customer and market changes. CIC can help you realize these high-performance endeavors and help enhance business competitiveness by providing innovative IT solutions that address core domain problems and provide superior value. 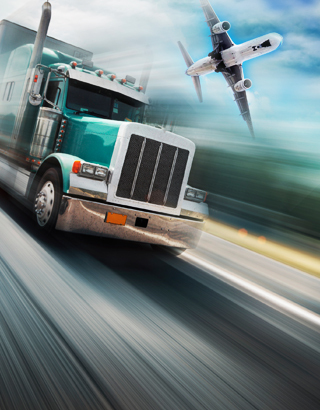 CIC provides end-to-end IT solutions for the travel and transportation industry.